Soaring high above the mountains in the very remotest parts of South America, the Andean Condor is a spectacular sight. With a wing span of up to three metres, the Andean Condor has a vast range, flying over lowland desert and coastal regions of South America as well as riding thermal currents high over the mountains. Following the course of the Andes, the Andean Condor (Vultur gryphus) can be found from Colombia and Venezuela in the north all the way to Tierra del Fuego at the southernmost tip of the continent. Despite its wide distribution, this magnificent bird is in danger. It is classified as Near Threatened by IUCN and its population is in decline. It is hunted by humans because it is reputed to prey on livestock. Protected areas are few and time is running out. But help is at hand. A dedicated team of conservationists in Ecuador are determined to save the Andean Condor. 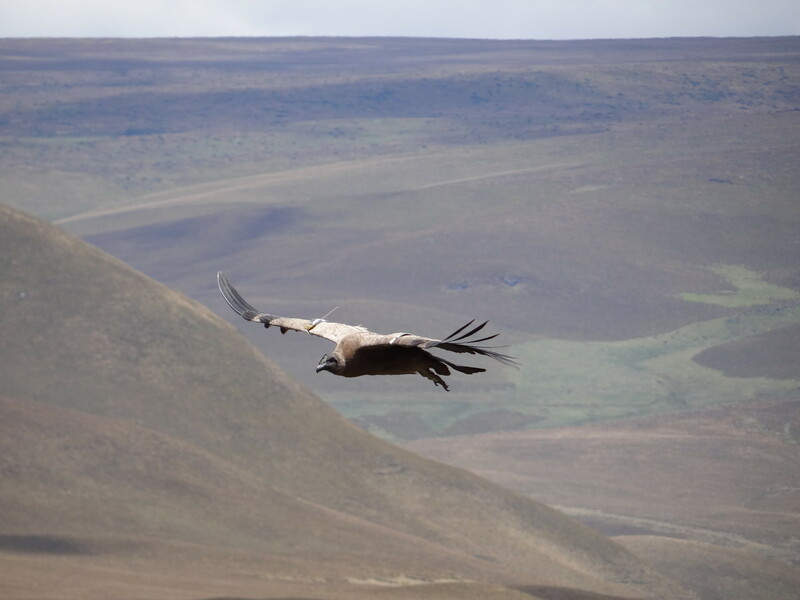 Working with international conservation charity World Land Trust, Ecuadorian NGO Fundación Jocotoco (FJ) is implementing a programme to monitor and protect the Andean Condor as part of a wider conservation programme in the Antisanilla Biological Reserve, which FJ owns and manages. 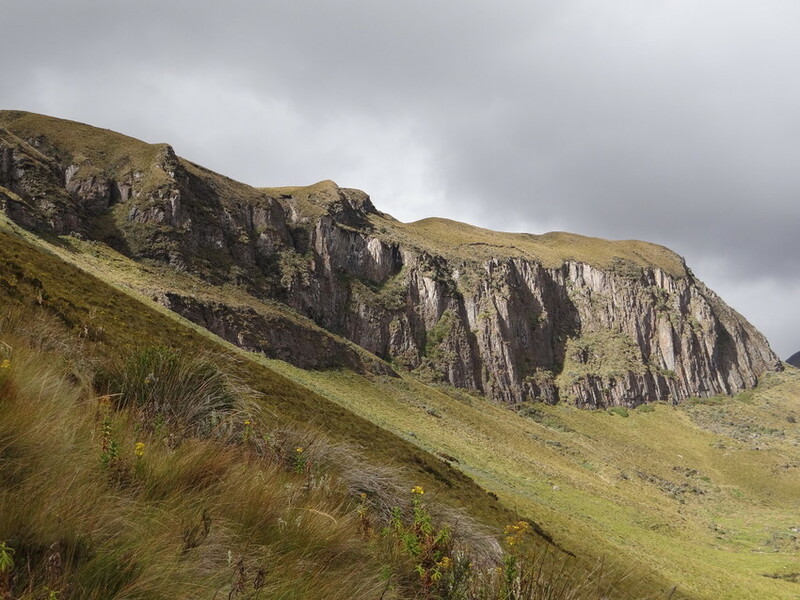 Located in central Ecuador on the western slopes of Antisana Volcano, steep cliffs in Antisanilla are the most important nesting and roosting site for Andean Condors in Ecuador and in northern South America. Like other conservation programmes, the Andean Condor project urgently needs funds. 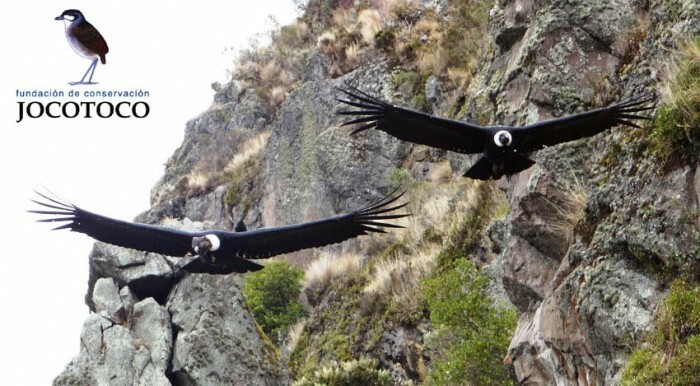 In response, and with the support of Nikwax and World Land Trust, the Andean Condor conservation project has been nominated for a grant of €30,000 (£25,000) from the European Outdoor Conservation Association (EOCA). A grant from EOCA would enable Fundación Jocotoco staff to continue to monitor the Andean Condor as part of a project supported by The Peregrine Fund and the National Andean Condor Work Group. Other elements of the grant proposal include restoring wetlands for the Andean Ibis (Theristicus branickii), by fencing cattle out of sections of the reserve, and tree planting to restore both the páramo and Andean forest habitats. The catch is, the project will only win the grant if enough people vote for it in an online poll. And that is why we need your help. People can only register one vote, so we are counting on supporters to encourage their friends and family to vote as well. Multiple votes from the same IP address (ie most offices) may not be counted so please vote from a home computer if possible. WorldLand Trust believes this to be a conservation initiative that deserves all the help it can get so we hope everyone will rise to the challenge and help us save these magnificent birds from extinction. In 2014, WLT and Nikwax nominated the Caucasian Leopard for an EOCA grant. Thanks to votes from Nikwax supporters, that application was successful. So let’s repeat last year’s success. Please cast your vote to save the Andean Condor. Thank you. Votes can be cast online at https://www.outdoorconservation.eu/project-voting-category.cfm?catid=1. Polling opens on 16 March and closes on 30 March.